January 4th, 2019 – The kick off meeting of the Civil Society Strengthening Platform (CSSP) for the second UN Women project: Support the establishment and strengthening of regional platforms of civil society organisations (with special focus on organizations representing women from minority and disadvantaged groups) to advocate for the development and implementation for laws and policies in line with CEDAW and the Istanbul Convention, took place on the 17th-18th of December 2018 in Belgrade, Serbia. 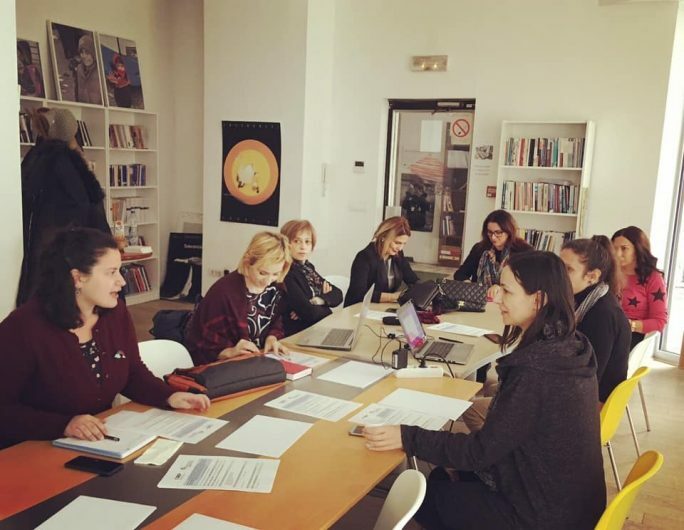 The meeting welcomed 11 partners, including 3 WAVE office staff, from Albania, Bosnia and Herzegovina, Kosovo, Montenegro, Turkey and Serbia, and it was organized with the CSSP partner in Serbia, Association Fenomena. The purpose of the meeting was for the partners to officially convene for the second project year, as well as to discuss deliverables and actions for the project and its sustainability beyond the duration of the project. The first day started with a presentation of the year two of the project. It then followed with intensive discussions between the partners regarding the one training and two-day final project event to organise, how to be more inclusive when it comes to minority/disadvantaged group organisations and the methodology for the Assessment and comprehensive report that will be carried out by AWEN Network Albania. The second day focused on the sustainability of the project beyond its remits. Aspects such as identifying the project elements that can be carried out with and without funding, and taking stock of the positives and challenges of year one were discussed, among others.